John Young Furnishing’s have been promoting independent retail store shopping. 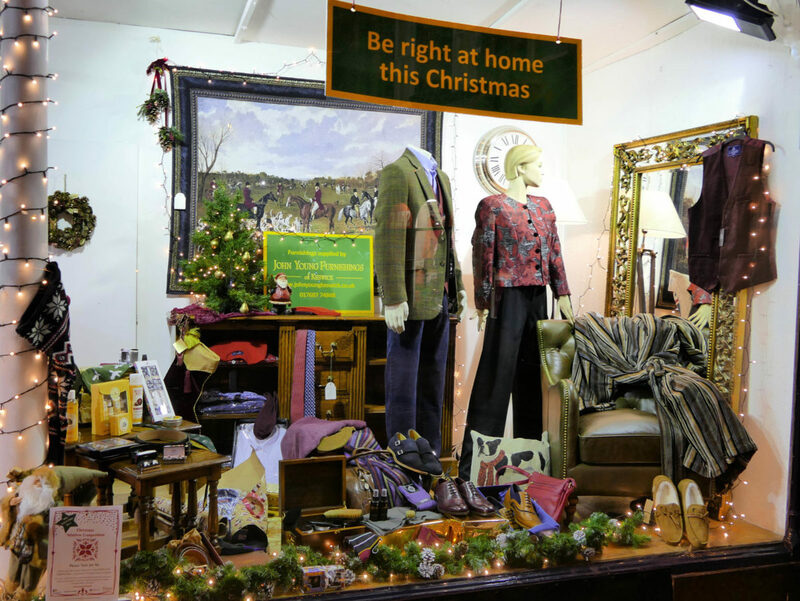 Two family-run independent retailers have worked together to create storytelling Christmas windows fit to rival Fenwick’s and Liberty of London. 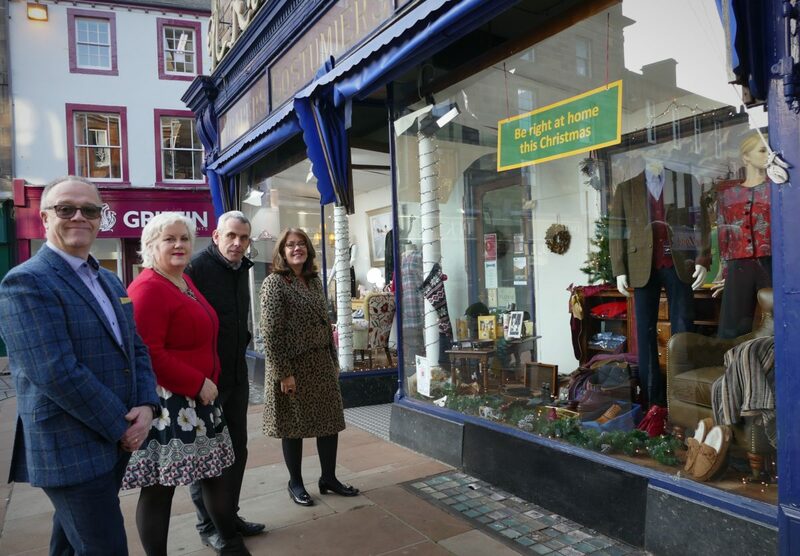 In an attempt to woo shoppers back to the high street rather than internet shopping, N Arnison & Sons the family clothing retailer in Penrith and John Young Furnishings of Keswick decided to join forces for the Arnison’s Christmas window. Both have centuries of history as family businesses providing quality products in Cumbria and neither sell directly off the internet. Elizabeth Weightman, Manager at John Young Furnishings has been working with Arnison’s owners Tim and Nigel Scott, to make sure the right furniture and furnishings were selected to tell the story of Christmas Eve at home. 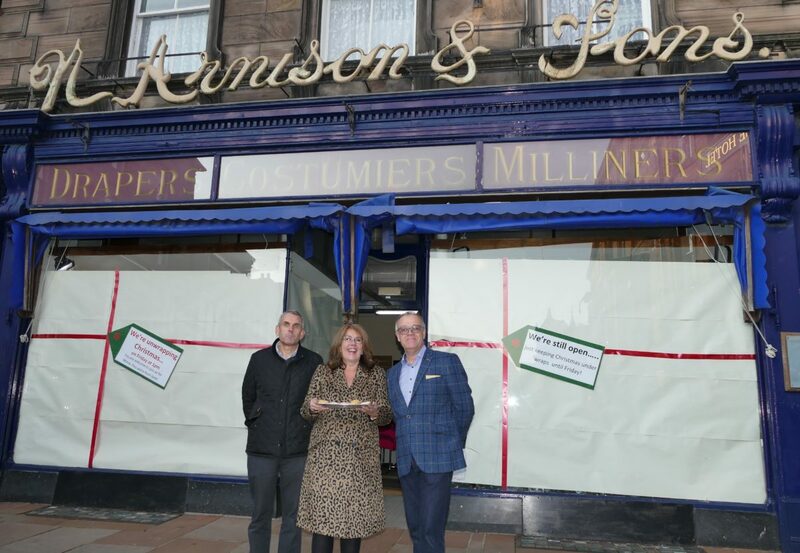 The windows of Arnison’s have been covered up and wrapped with bows and large tags welcoming visitors to the grand unveiling on Friday lunchtime by Arnison’s Nigel Scott with John Young and Elizabeth Weightman from John Young Furnishings. It has created quite a stir in Penrith. John Young said “We share similar provenance – we’re both family businesses that offer great quality products and we’re both proud of the very special customer service. We selected British made furniture – which is something we pride ourselves in sourcing, and an array of furnishing to make the Arnison’s windows a ‘home’. The windows have been covered since Tuesday which increased speculation in Penrith and caused a still on social media when Arnison’s shared facebook posts on Thursday night. Comments on social media include calling the Arnison’s the Fenwick’s of the North – something Nigel was delighted to hear. Nigel said “When we were first approached by John and Elizabeth, we jumped at the chance to work with a like-minded company with such provenance and fantastic quality furniture. It’s a perfect synergy – they provide the bedroom furniture, and we provide the bedding and nightwear, they provide the dining rooms and we dress customers for dinner. “We have recreated bedrooms and living rooms in the run up to Christmas – with the chaos of wrapping presents and the celebration of going out and enjoying the festive season. 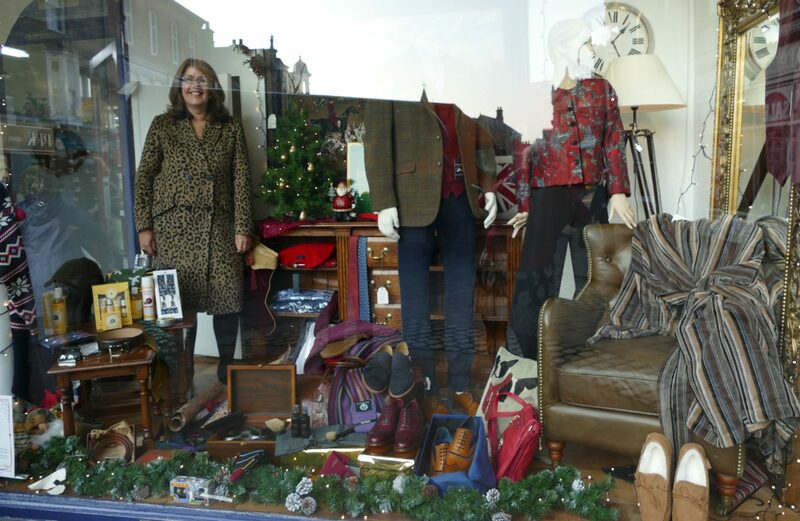 Our staff have really enjoyed seeing the new style window being created by someone else for a change. 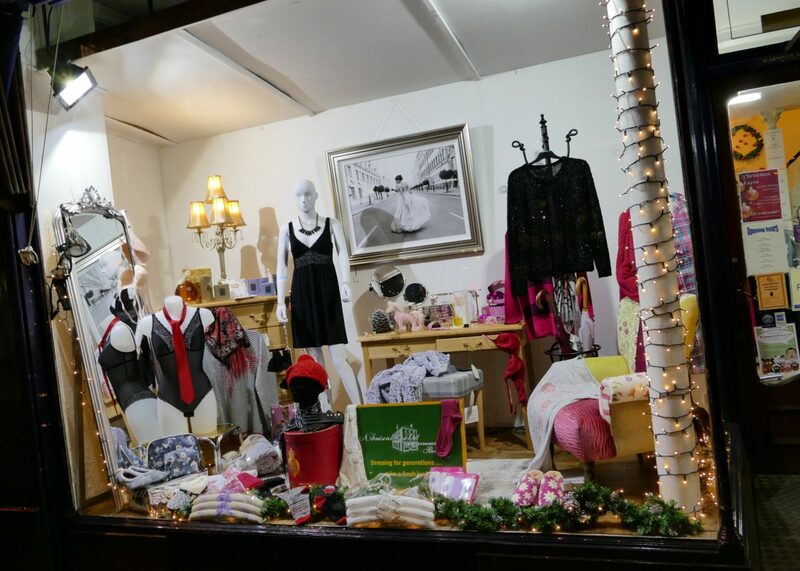 Both shops enjoy prime location in the town centres and working together to promote independent businesses and shopping locally is important to both businesses. With the increasing popularity of internet shopping and Black Friday offers, it’s refreshing to see two shops battling to stay at the centre of the high street. John Young Furnishings has been a household name on the Keswick high street for over 120 years – a family business for four generations. Arnison’s is also a household name – it was established in 1742 and has been in the family since the 1830’s. Tim and Nigel Scott run the business today, with their mother Mrs Scott still actively involved.